Rents are rising, food prices are ridiculously high, and now your job is in jeopardy. Antonia joins the women in her neighborhood in a mass protest at the grocery store. The women refuse to pay, but when Antonia gets home with the groceries, she must deal with her outraged conformist husband, Giovanni, who is horrified at what she has done. Comic farce ensues in this hilarious but important statement about the working poor, desperation, crooked cops, pregnancy and hunger. One of the most celebrated of his political comedies, We Won't Pay! We Won't Pay! demonstrates the comedic genius of Italian playwright Dario Fo. In this masterpiece it is easy to see why Fo received the Nobel Prize for Literature in 1997 for "emulating the jesters of the Middle Ages in scourging authority and upholding the dignity of the downtrodden." Indeed, Fo has extensively researched the medieval traditions of comedy when clowns were the voices of oppressed people. Fo's clowning has been described as "epic clowning" because it goes deeply into human hungers. Translator Ron Jenkins has written, "Like all great clowning, he's talking about people who are hungry not only for food but hungry for dignity, hungry for justice, and his clowning gives you an epic sweep and understanding of those very deep human hungers." Rebecca Novick, artistic director of San Francisco's Crowded Fire, directs this Shotgun Players production with a cast that consists of Katja Rivera as Antonia and Clive Worsley as Giovanni, with Andrea Day, Ian Petroni and Kevin Kelleher. "The Bay Area is something of an American home for Fo. There's a sensibility here that fits with his politics," says Novick. 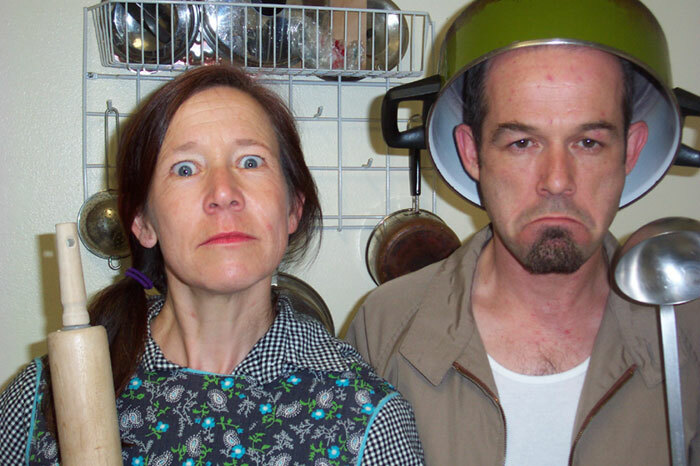 "The San Francisco Mime Troup did the American premiere of We Won't Pay, an adaptation by (resident playwright) Joan Holden. (Berkeley Repertory Theatre artistic director) Tony Taccone has done a lot of Fo. And ACT's Carey Perloff , again with a Holden translation, did Fo's The Pope and the Witch." When Fo won the Nobel in 1997 there was a veritable "Fo Fest" around the Bay Area. Working with Fo and his chief collaborator and wife, Franca Rame, Jenkins penned the new translation, which premiered at American Repertory Theatre in 1999. He updated the play with contemporary language and references and restores Fo's original ending, so that he keeps the community in full revolt against authority without reducing any of its spiraling absurdity. Novick notes that Fo's language is highly colloquial and she has made several adaptations to this production to make it about Berkeley. Why this play now? "It's about people who don't get depicted that often," Novick says, "people who work and are hungry among plenty, who must choose between shelter and food. These are the erased people, the almost homeless." In the high-cost Bay Area, there are plenty such people, largely unseen. Featuring: Andrea Day, Ian Petroni and Kevin Kelleher.